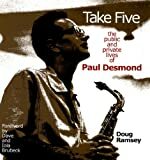 JazzBiographies.com has thousands of jazz biography web pages. Each page contains either biography text or links to recommended biographies at other websites. JazzBiographies.com allows you to locate and compare biographies without having to wade through pages of fruitless search engine results. JazzBiographies.com was conceived and constructed by Jeremy Wilson. The majority of the content was developed by Sandra Burlingame. Jeremy Wilson is the creator of JazzStandards.com. His background is in network analysis and information management. Sandra Burlingame is the Editor in Chief at JazzStandards.com. She has also edited Sing Your Story by Jay Clayton, Metaphors for the Musician by Randy Halberstadt, Tapping the Source by Brenda Bufalino, and 5/4 Magazine.